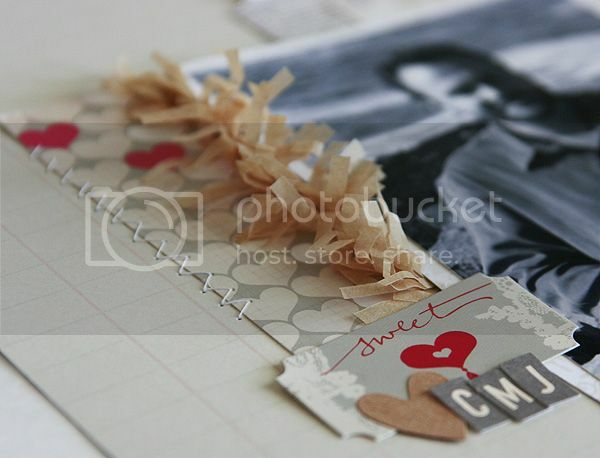 Today I have a layout to share that's just in time for Valentine's Day! Although it's not really a Valentine layout, it does have cute hearts & arrows ;) that are all part of the January add-on kit from the Paper Bakery. I used my Martha Stewart fringe scissors to cut the Canvas Corp tissue paper, for a bit of extra dimension. An instant embellishment! Thanks for stopping by my little space on the world wide web! Beautiful!!!!! I just bought some tissue like that and I totally want those scissors now! So pretty...and I adore the tissue trim. 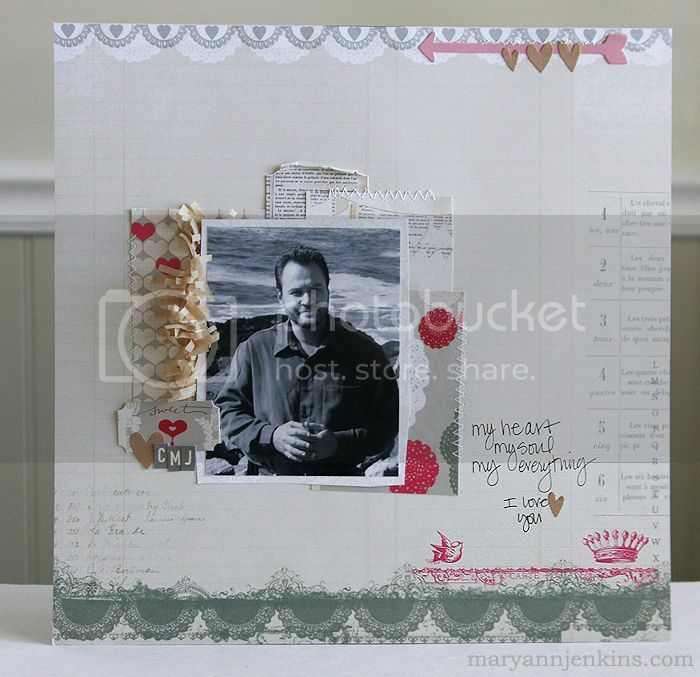 You are sooooo crafty, Mary Ann! Love the tissue paper fringe border! Fresh and cute! What a great idea to cut the tissue paper into fringe, really pretty! Love that tissue paper flower! Wonderful page! This is just awesome! I love the tissue fringe!